Cluster of Cloisonne peacock blue and green butterfly brooches from Florence. 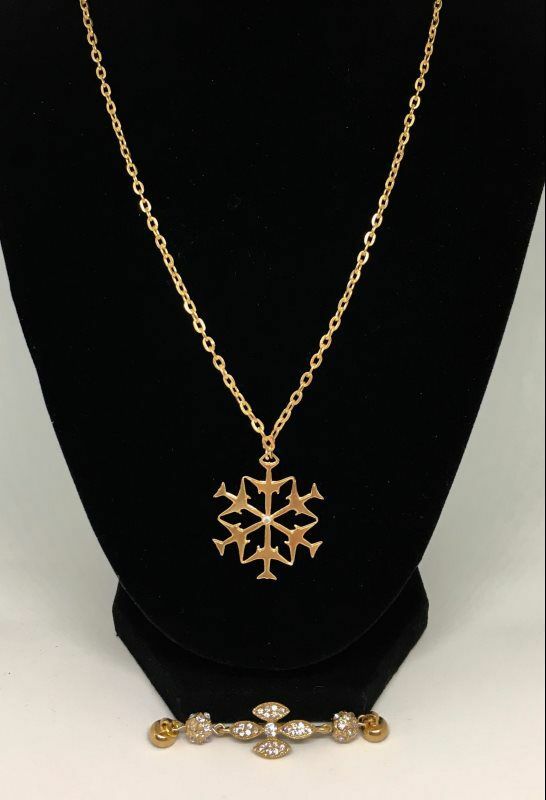 Enameled 24 Karat gold plated vermeil 800 with delicate 14 karat gold filled chain. 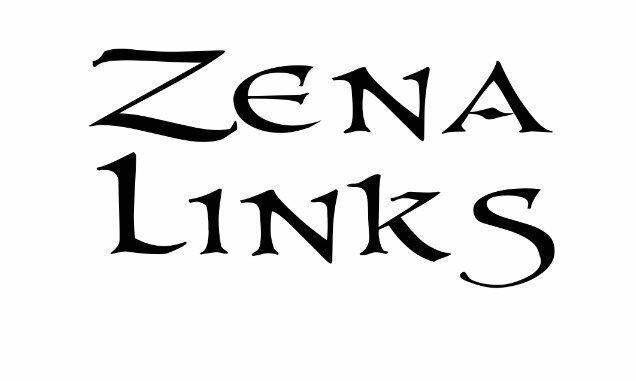 Zena Link connector with gold plated magnets included. Pendant from Paris with amber glass stone cradled in a milgrain bezel, surrounded by crystal baguettes. The pair of Zena Links have 18 karat gold plated bezels and faceted amber glass with rhinestones. 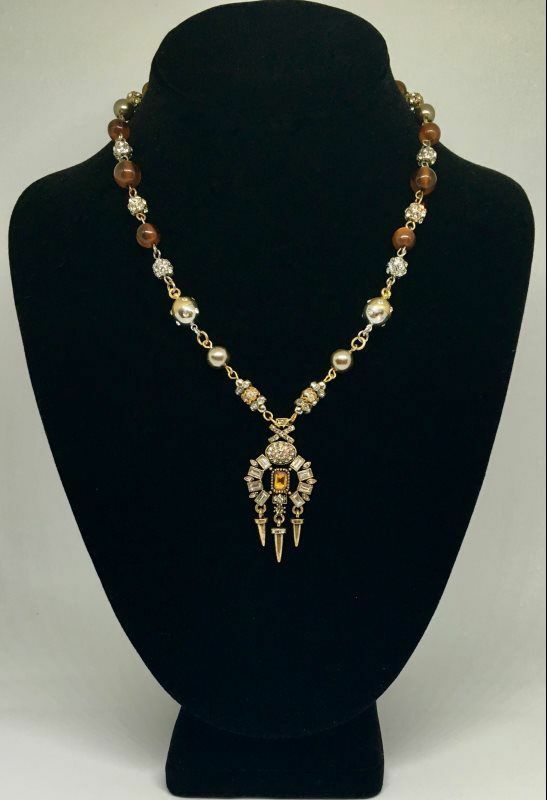 Length of the necklace includes amber glass beads, rhinestones and gold plated magnets with hand-set crystals. Rare Orena Paris signed brooch circa 70's. 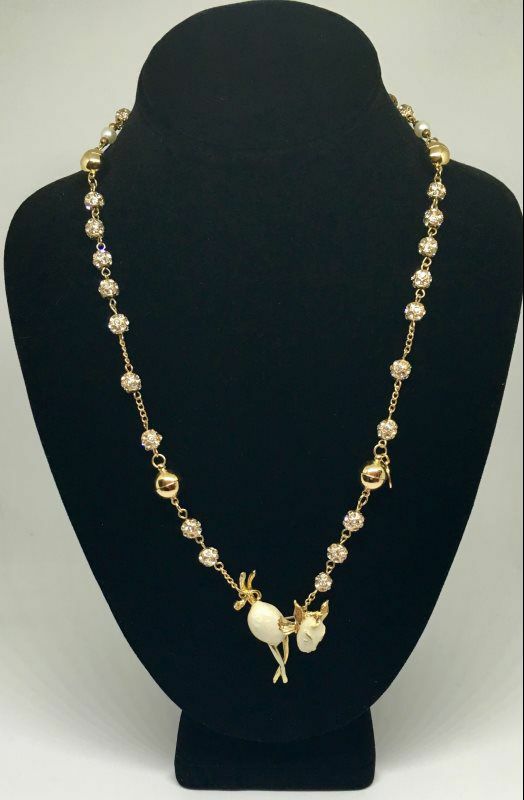 Length of necklace is hand-set rhinestone beads and gold plated magnets. 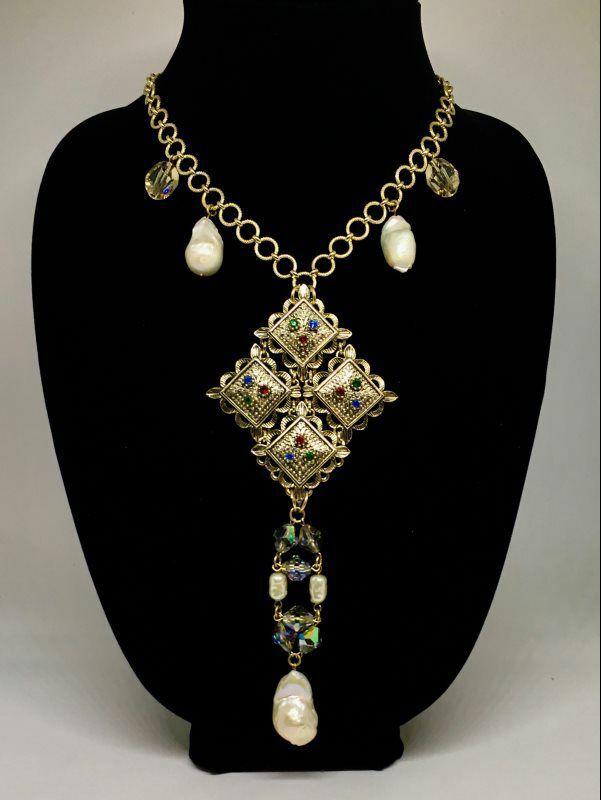 Set of Zena Links with vintage Italian sage colored beads, rhinestones and pearls included. 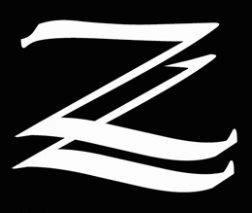 Orena was in business from 1977 to approximately 2005 and the company was located in Paris, France. 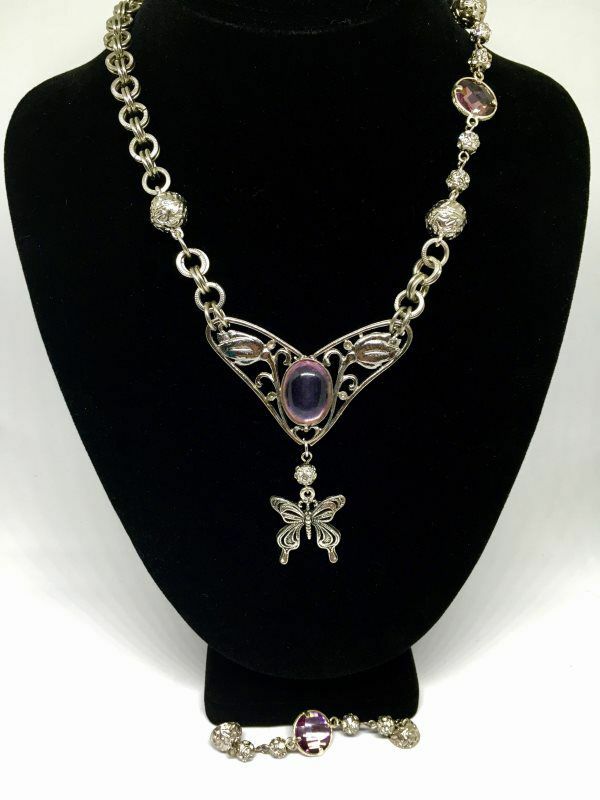 Vintage pendant with purple-glass cabachon flanked by delicate roses, adorned with a silver butterfly charm. Set of purple-glass and rhinestone Zena Links included. 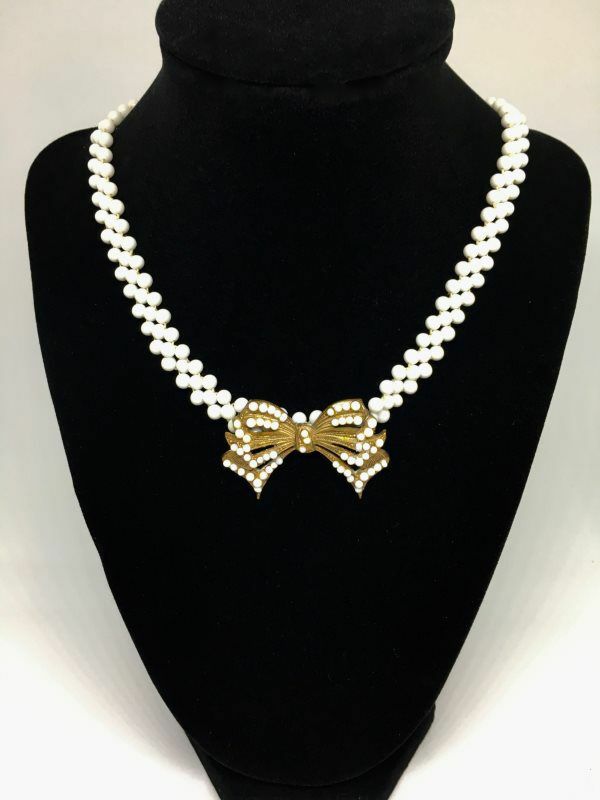 Early Marilyn Haskell signed collar necklace with vintage white seed and milk glass beads. Delicate and dainty, with zena link magnetic closure, this highly collectible choker is in excellent condition. 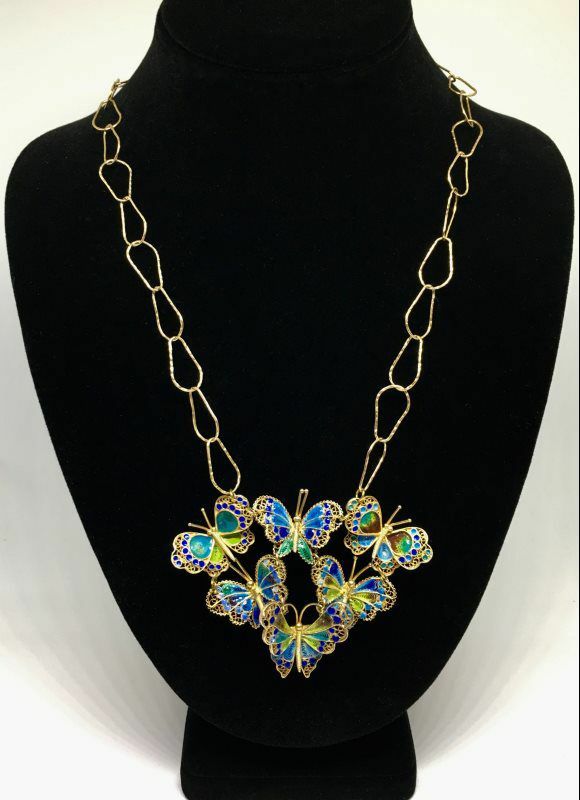 Daisy and hand-set crystal Zena Link with brass magnet included. Excellent estate condition, authentic signed piece from Paris. 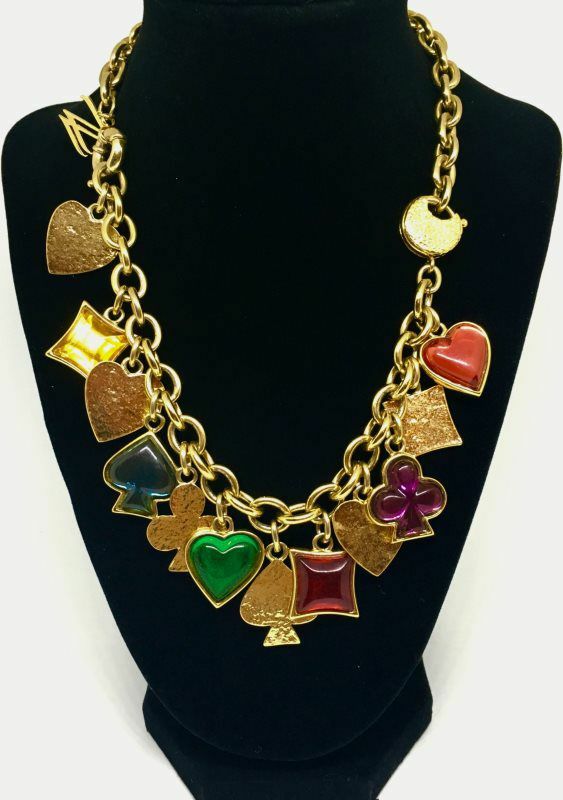 High quality, 24 karat gold plated bracelet with resin poker charms. Yves St. Laurent commonly used colored resins of green, yellow, red and blue in his 70's jewelry collection. 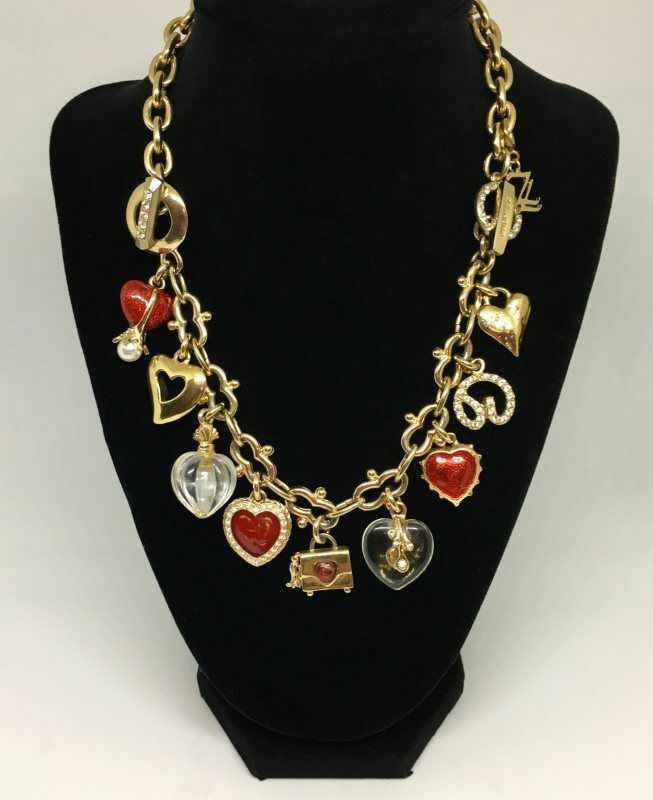 Gold plated Zena Link with magnetic closure, clasps to YSL bracelet allowing it to be worn as a necklace.